Need help understanding how Arizona business law works, and whether you should consider hiring an Arizona business attorney? If you are a business owner– small, medium, or large– or an individual or commercial business owner, our Arizona business lawyers can provide you with representation and service in business law to meet your specific needs, as we understand that every single business’s needs are unique to that business’s niche. 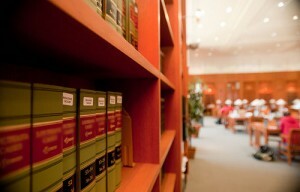 A careful business lawyer will promote protection of your business, and minimize risk of liability in the event of a claim or dispute. Choosing the right entity for you is necessary and depends on your needs as a business, just as much as finding excellent and quality business law representation is important to your business’s integrity. It can be a stressful and confusing ordeal to handle legal matters on your own, so having a professional team of business lawyers is very important to be sure your documents, forms and contracts, as well as manuals and training documents, are all drawn up correctly and clearly to avoid liability. Mesa business attorneys will help you have adequate and proficient protection from creditors, as well as reduced tax amounts, and protection of business owners from liability, and protecting and representing you in the event you are sued. Are you looking for honest and helpful answers to Arizona business law questions you have? Are you a business owner and don’t know the steps necessary when you need to take legal action? Gunderson, Denton, & Peterson, along with our strong team of experienced, professional and informative Arizona business lawyers can provide the answers and advice you need concerning any of your business’s legal matters. We can help you analyze, determine and understand the needs for your business where the law is concerned, as well as offer useful advice and counseling for you to apply towards your business to promote success. We are well versed in all of the fields of business litigation, so you can be certain that our Arizona business attorneys strive for top quality, affordable, useful and efficient legal representation for your business. We are passionate about what we do, and can ensure service that is always in your best interest as well as the best interest for your business or businesses. For more information, or consultation regarding business law and representation by the knowledgeable staff of Attorneys at Gunderson, Denton, & Peterson, call us today at (480) 655-7440. Let us help you protect you and your business’s prosperous future! Q: Can I make a new business a part of my existing S-Corp by simply adding this as a part of the business with a DBA? We have operated our own business for years with our own S-Corp. This company operates music and painting seminars but also includes other business activities we engage in- piano tuning, piano playing jobs, faux painting jobs and such. My wife is now starting a new business selling skin care products. Is there any reason why we cannot simply make this new business a part of our existing S-Corp by simply registering this with a “doing business as” form with the state? Our articles of incorporation simply state that the purpose of the corporation is to engage in general business purposes and does not limit these in any particular way. It does not even mention the type of business we engage in. A: Actually, you have several decisions to make. First, should you create a new company, or just use a new dba? Second, if you create a new company, will you do so as a subsidiary of your existing company, or as a separately owned entity? You will probably also want to discuss with a lawyer how the new entity should be taxed and whether it will be a LLC, corporation, or something else. Planning properly now can save you a LOT of money and grief later. Driving Directions from Arizona Courts to Gunderson, Denton & Peterson, P.C. Directions to Gunderson, Denton & Peterson, P.C. Read the rest of Does Your Startup Arizona Business Need a Patent?